Yet they both said that during their stay in New Zealand they had never faced any incidents of racism or Islamophobia. 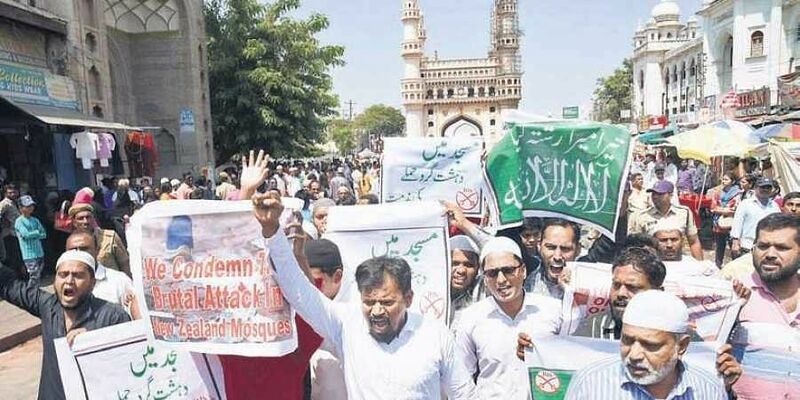 HYDERABAD: It was a cool Friday morning and the large Muslim community in the city of Christchurch, New Zealand comprising various nationalities, converged into the two major mosques for their jumma namaaz. They were looking forward to their weekly tradition of getting together after prayers and socialising over good food. However, what perpetrated during the prayers, survivors of the incident feel, will change both New Zealand and their future in the country, forever. “We were in between our prayers, when we heard loud bangs at quick intervals,” Mohammed Khwaja Mohiuddin, a survivor of the horrific terror attack by a white supremacist on two mosques in New Zealand’s Christchurch, told Express. A resident of Moula Ali and chef by profession, Mohiuddin was at the Linwood Mosque along with his close friend Imran Ahmed Khan when the shooter Brenton Tarrant opened an indiscriminate fire. He somehow saved his life, but his restaurateur friend, received a bullet injury to the head killing him on the spot. “It was only on Thursday that I and Imran were discussing talking about going back home to Hyderabad and how much the city had changed over the years,” Mohiuddin recalled solemnly. It was in Imran’s restaurant that he worked as a chef and through the years had developed a close bond with him. He then remembered the 31-year-old Ahsan as a friendly, jovial person, with ‘a smile on his face always’. “He was our go-to friend for any kind of advice on politics, education or getting to know the bureaucratic processes of New Zealand. He was always very approachable,” Ashar said, adding that on numerous occasions they took weekend outings together. However for both Ashar and Mohiuddin the future is not as bright as it was in New Zealand before the attack. Yet they both said that during their stay in New Zealand they had never faced any incidents of racism or Islamophobia.